Lakeland Walks & Talks » Face to Face with a Lion! It’s not every day you have the chance to come face to face with a Lion… but recently bathed in glorious sunshine I had the chance to do just that! 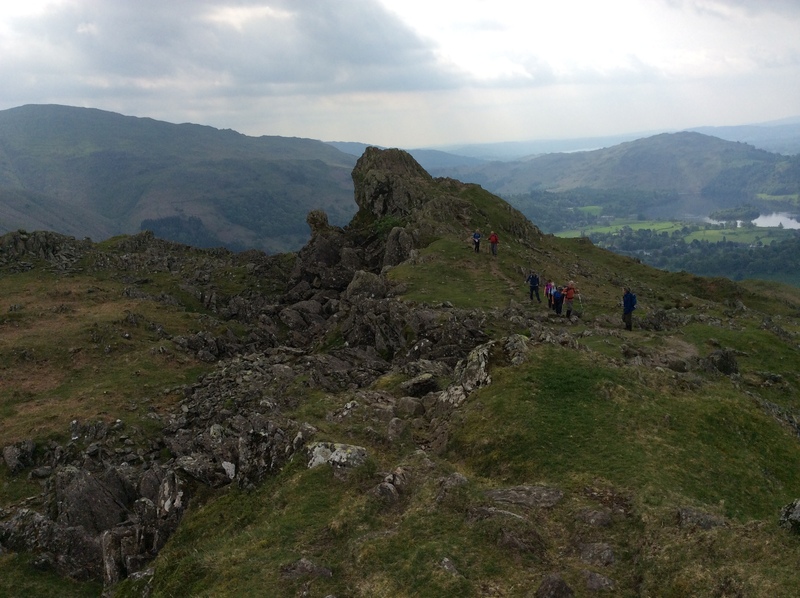 OK I admit it wasn’t a real lion… But for those who know Grasmere and the surrounding fells you will have seen sitting atop of the summit of Helm Crag a rock formation that can only be described as stunning! Majestic in its beauty the ‘Lion and the Lamb’ is a Lakeland landmark known far and wide and one that has become a personal favourite over the years… Looking up from the Grasmere valley and seeing this awe-inspiring feature always raises a smile. However, the formation can only be truly admired when you get up close and personal. As a low level fell the route to the summit of Helm Crag is easily accessible, with an easy to moderate profile, offering a fantastic introduction to fell walking. Starting out from the picturesque village of Grasmere the ascent climbs gradually along well laid paths that lead to the summit of the fell offering breath-taking views (including a glimpse of Easedale Tarn shimmering in the distance).